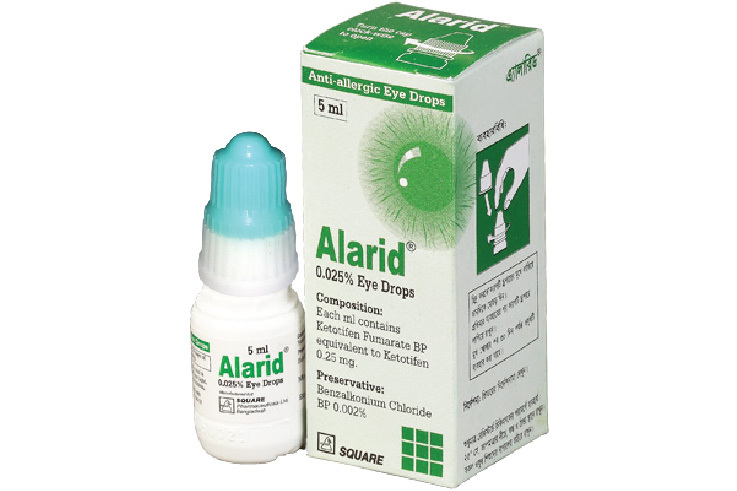 Alarid 0.025% Eye Drop is indicated for the treatment of signs & symptoms (itchy, watery, red & swollen eyes and eyelids) of allergic conjunctivitis including vernal kerato-conjunctivitis, vernal-keratitis, blepharitis, blepharo-conjunctivitis and giant papillary conjunctivitis. Adults and children 3 years and older: 1 drop in the affected eye(s) twice daily, every 8-12 hours, not more than twice per day. Alarid 0.025% Eye Drops: 5 ml sterile solution.